Business & Professional Women of Colorado's mission is to achieve equity for all women through advocacy, education and information. Business and Professional Women of Colorado (BPW Colorado) was founded in 1919. This organization has, and continues to be, a leader for women's rights at the local, state, national, and international levels. We are 100% volunteer-run, service and membership organization. We are defined by the many individuals from communities large and small, who are members of BPW Colorado! Although we are not a "leads organization", we find that networking and opportunities happen organically at all levels of our organization. We help women achieve professional, personal, and political goals through programs, workshops, networking, and friendships. All is achieved through monthly meetings and other sponsored activities. Each BPW Colorado local organization creates its own unique agenda, but all have the same objectives. 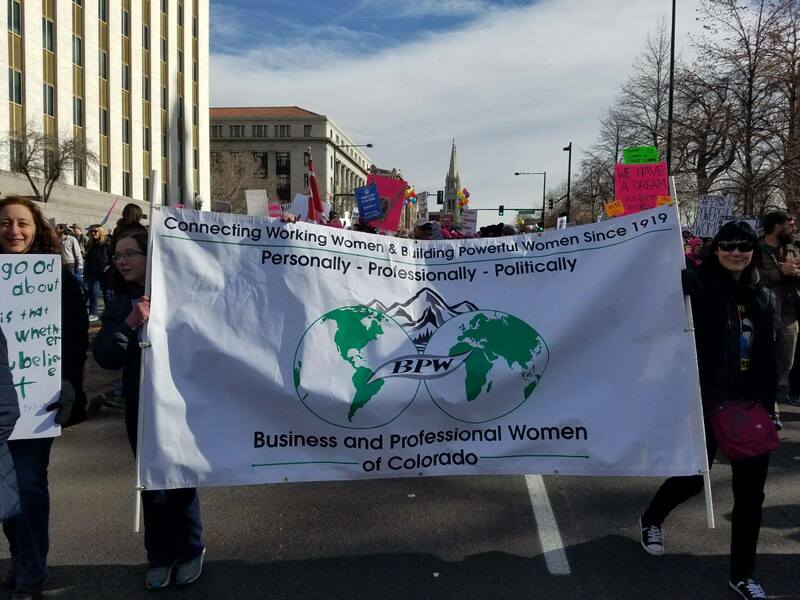 BPW Colorado is affiliated with the International Federation of Business and Professional Women (BPW International), National Federation of Business and Professional Women (NFBPWC), Colorado Women's Education Foundation and the Business and Professional Women's Foundation. Our affiliation with these organizations provides us with the capacity to impact women and the issues that affect them, both nationally and internationally. Learn about the Colorado Women's Education Foundation, BPW Colorado's sister organization.